From the Japanese word for “deliciousness.” But the story of how the “fifth taste” entered our lexicon is equal parts science and cultural history. 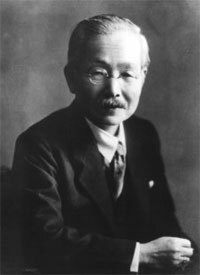 Early in the 20th century, a Japanese chemist named Kikunae Ikeda was puzzled by a certain dashi broth. The broth contained no meat—kombu, or kelp, is a key ingredient in dashi stock—yet it had a sumptuous, layered, and deeply satisfying flavor, akin to a long-simmered stew. 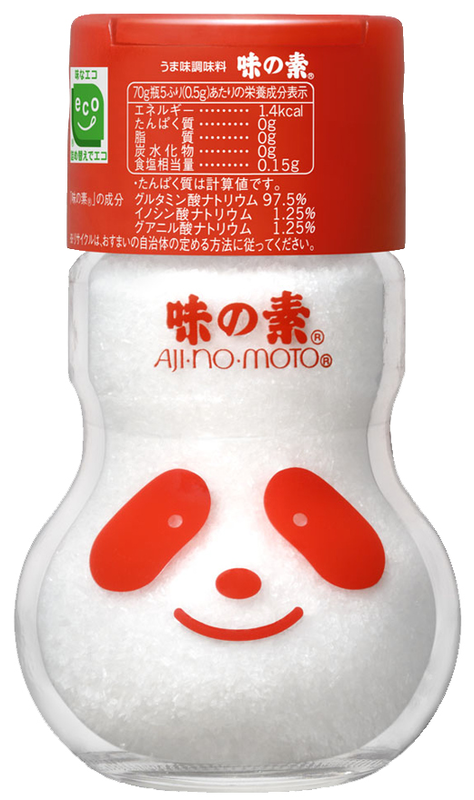 Suspecting that there was something else at play beyond the accepted four basic taste sensations of sweet, salty, sour, and bitter, Ikeda decided to investigate the seaweed’s chemical composition. Over the past few decades, umami has exploded in both cultural and scientific popularity. Articles about umami recipe competitions appear in the New Yorker, and hits for “umami” in PubMed (a database for medical literature) increased tenfold in less than two decades. (In 2000, there were 86 hits for studies that used the term or were archived under “umami.” Last year, there were over 800.) But it was a long, simmering process to get there. Monosodium glutamate, or MSG, is a compound molecule that contains glutamate and binds with sodium in order to stabilize into something that can be packaged and sold in seasoning bottles, writes Helen Rosner. In essence, it’s umami in a shaker jar. 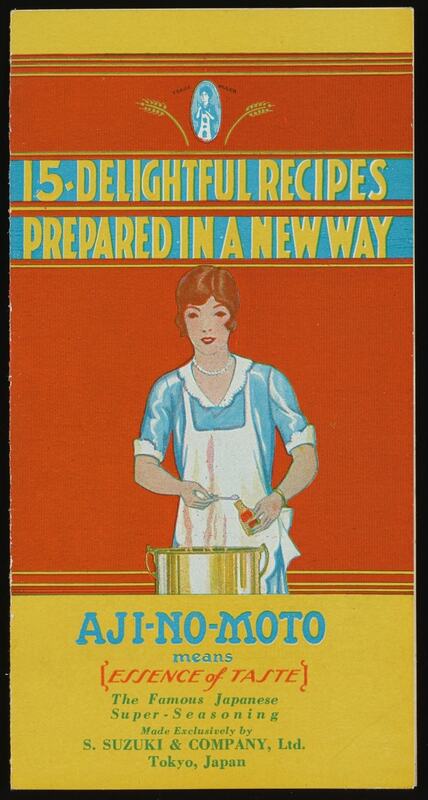 MSG became widespread in the U.S. after WWII when the major players in industry and food science gathered for a convention “and they realized, ‘Oh, the Japanese military has been using MSG to great effect to improve troop morale and make things taste better,’” explains Tracy. At that point, Campbell’s Soup, among other companies, began to incorporate MSG as a flavor enhancer in order to make their products more competitive. But for decades, MSG had a bad rap in the United States after the The New England Journal of Medicine published in the 1960s an infamous, controversial letter from a doctor about “Chinese Restaurant Syndrome.” The doctor wrote that he experienced symptoms similar to those of an allergic reaction when he ate food from a Chinese restaurant. Shortly thereafter, Science published a study in which researchers injected laboratory mice with MSG, which led to brain lesions and other neurological problems. Together, these publications were taken as an indictment of MSG. 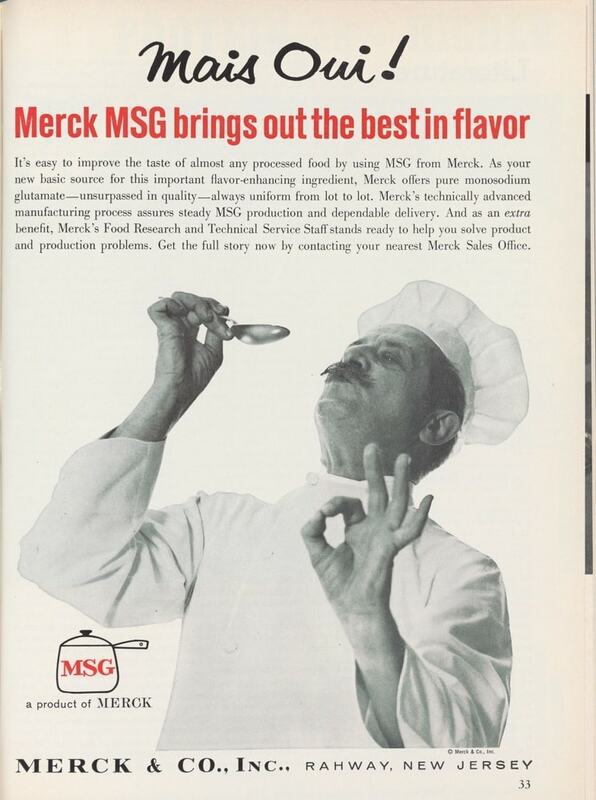 It took a revolution in the world of food science to transform MSG’s image in the United States from a mass-produced, allergy-causing flavor enhancer to a secret miracle ingredient. For umami to gain acceptance in the United States, explains food historian Nadia Berenstein, Westerners would need a different kind of “proof” that MSG wasn’t harmful. That’s where molecular researchers come in. “Umami particularly picks up speed in the 1990s, when taste receptors become the site at which taste becomes a real scientific thing,” explains Sarah Tracy. “I think directly in response to the turn in the 1980s and ‘90s of looking at food as science and food as something that can be molecularly tracked and interpreted… that is the general moment in which umami was being investigated,” she says. The food world has come to the rescue, too. The prolific chef David Chang has gone on the record in defense of MSG, points out Helen Rosner. So have food researchers, Anthony Bourdain, and the food writers Harold McGee and Rosner herself.